Create a photo puzzle game with a photo to add more fun. 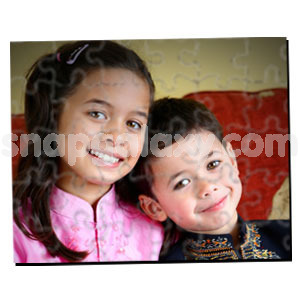 Each beautiful puzzle is made of 1/8" high density material with great looking finished edges. 30 Pieces.